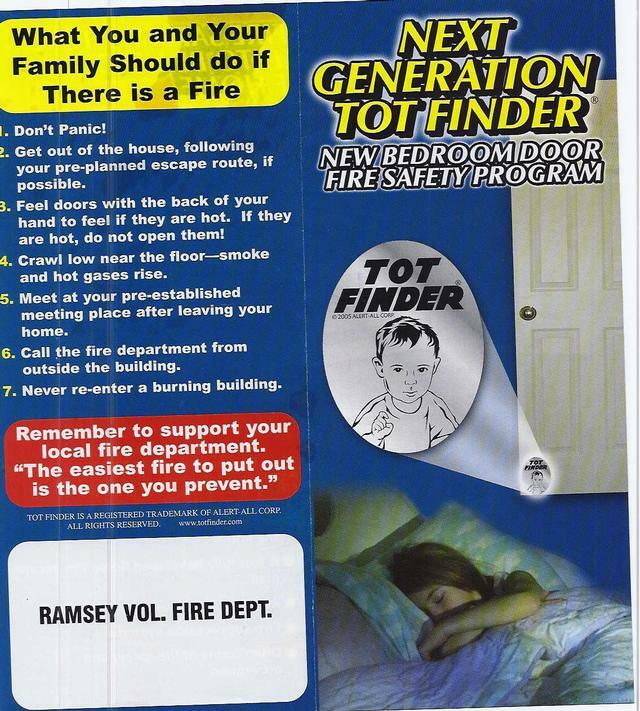 The Ramsey Fire Department is pleased to announce the return of the TOT FINDER program. Some may remember the old bright orange & silver TOT FINDERS that used to be and still may be to be on the outside of the windows of your homes. The return of the TOT FINDERS brings us a new look and a safer application. Due to a changing society and the security concerns of our children so as not to alert undesirables as to the location of our children, these TOT FINDERS go on the inside of your home, and cannot be seen from the outside. As the attached directions show, firefighters will find these stickers while conducting our searches during a fire and will alert us as to the location of the children. As the pamphlet shows they are made up of 3 stickers, one on the door and the others on the door jamb,again as the directions show. 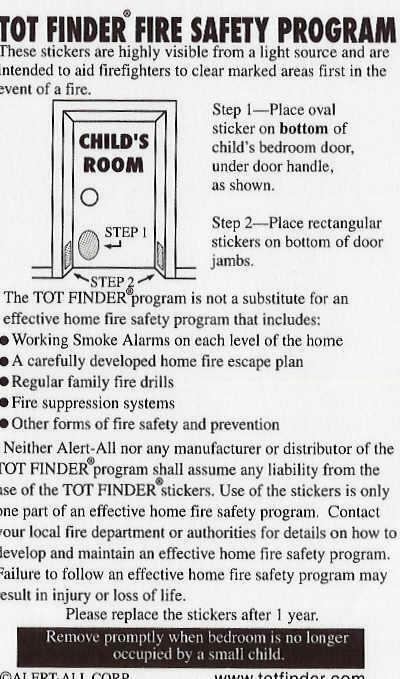 If you have an old TOT FINDER on your house and you have no need for it we ask that you remove it, if you have an old TOT FINDER we invite you to obtain a new one or as many as you need and install them as per the directions and remove the old TOT FINDERS. 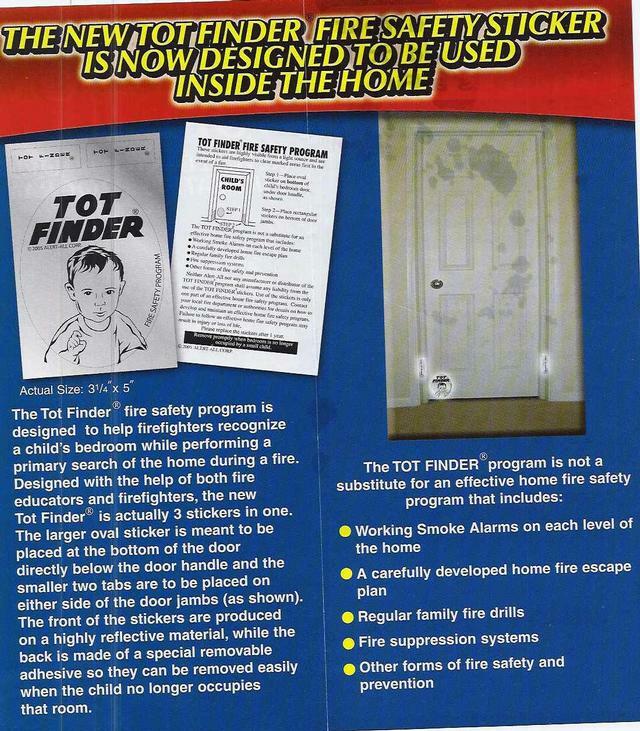 In order to receive TOT FINDERS either as a replacement or new we ask that you come down to Ramsey Fire Headquarters , across from the High School on Island Avenue on the first Monday of the month between 7:00pm and 9:00pm ask for a representative of the Public Eduction Unit and they will be more than happy to help you with this and any other Fire Safety Eduction questions you may have. We thank you for your prayers and your support. 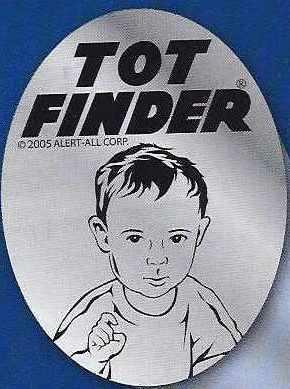 The TOT FINDER program is open to Ramsey Residents only. We are the first Department to use the new TOT FINDERS in our area and know the locations of where the stickers are placed. And as always don't forget to always be fire safe.